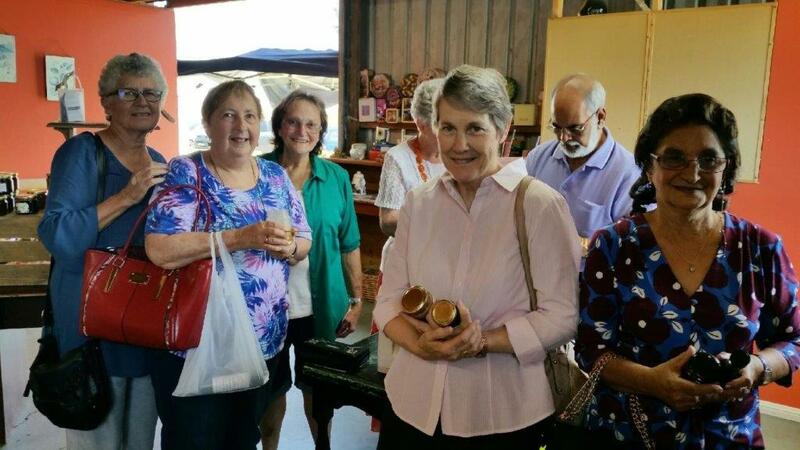 The Leisure Life Group meets every second Thursday of the month & affords the opportunity for Church Members & their friends to go on outings together… to enjoy one another’s company & often to visit places of interest. Some of the venues visited in recent times have been: The Jewish Museum (Potts Point); an enjoyable day trip to the Southern Highlands; Morning Melodies at the Joan Sutherland Centre (Wednesday); Warragamba Dam; fish & chips by the Nepean River; Trolley Tour at Katoomba; Arms of Australia Inn/Museum; The Honey Shed; Christmas lunch at the Heritage Restaurant in Penrith… & many more. 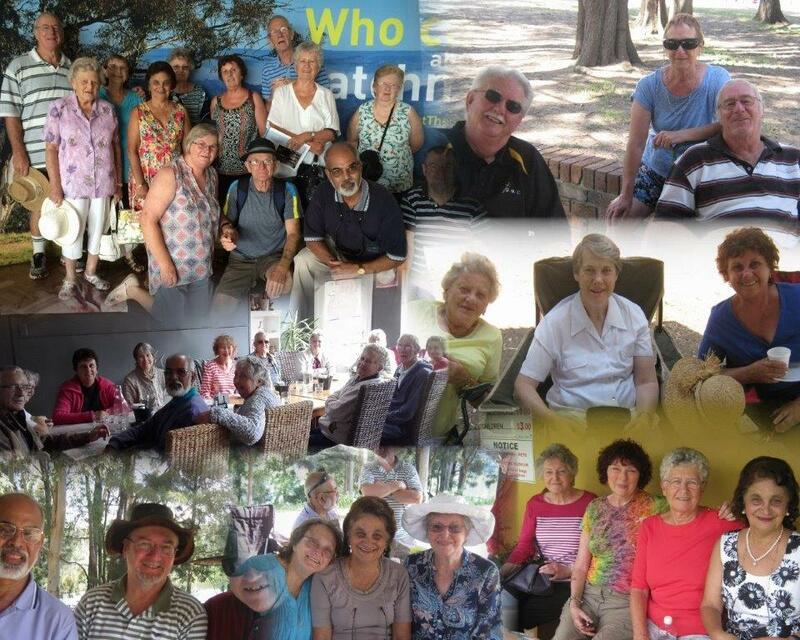 You can see from the smiles that those who attend these outings have a great time. Please note: We organize car pooling for away outings & on occasion travel on the train. Members of the Leisure Life Group seen here enjoying an informative outing at the Honey Shed at Luddenham, increasing their knowledge on the working of bees. 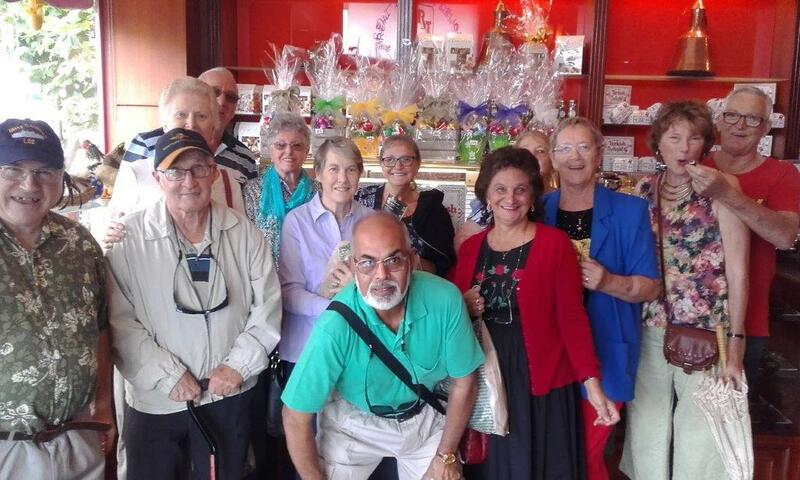 Church members enjoying a recent trip to the Turkish Delight Chocolate ‘Factory’ in Auburn (yum! Yum!). This was followed by a lovely meal & fellowship at a local Lebanese Restaurant. 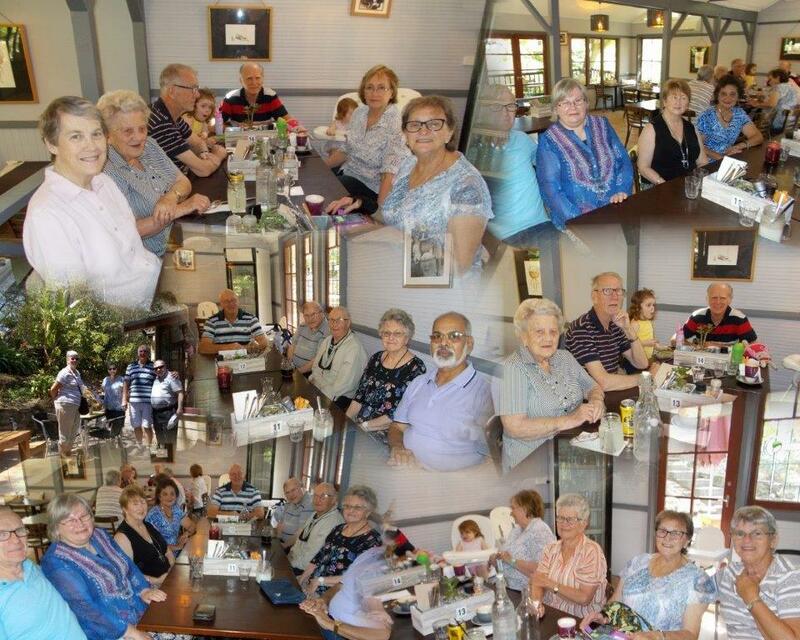 Leisure Lifers seen here enjoying a recent trip to the Norman Lindsay Café for a time of fellowship & a meal together. 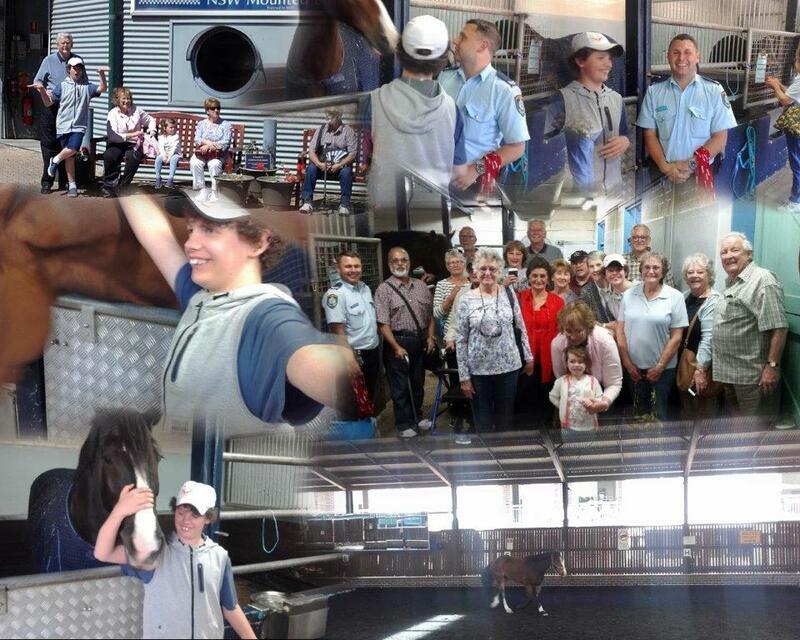 A great day was had by all with a visit to the NSW Mounted Police situated at Surry Hills. They were surprised to learn that the NSW Unit is the oldest mounted Police Unit in the world. 11.00 sharp (Show starts) Morning Melodies – “Legends of Doo Wop” Allan & Lois – book early! NOTE: TBA = Times, including train timetables etc. will be notified in Church Bulletin nearer to the event.